Island living as a concept can conjure some very particular thoughts and feelings. Islands are the places of beaches, tranquility, sunset strolls and happily ever-afters. I think if we’re being honest, the thought of island living can even arouse a sense of the divine. Heavenly, pristine places of immense natural beauty far removed from the noisy and confusing world of man. Postcard places that don’t exist in reality or, perhaps due to the way we live our lives, we simply can’t envisage them as a place any sane person would live. Of course though, islands exist and people do in fact live on them. Why is it then that the idea of island living seems so strange here in Australia where we have an ample supply? Even Sydneysiders have the slight seclusion of Cockatoo Island slap bang in the Parramatta and Lane Cove Rivers. Perhaps it stems from the majority of our islands being thought of mainly as tourist destinations. This in itself has probably helped to warp our perspective of island living. Places with a slower pace of life seem more abstract and unreal because the islands we are most familiar with are more defined in our psyche by images of squads of tourists crowded into mass appeal restaurants and gaudy resorts, blitzing every notable sight and sound with a wave of epilepsy inducing camera flashes. Not to mention that with 35,877 km of some of the world’s most varied and majestic coastline, you don’t need to take a boat to find a beach to live on. Coastal living doesn’t come at the exclusion of city conveniences of course. I think though, there must be a world of difference between living by the sea and making a home on an island. Australia, even large as it is, has an island’s history, with a culture at times defined, for better or worse, by it’s separation more than in it’s inclusivity. With an island comes isolation, a degree of inherent severance. Isolation, however, doesn’t necessitate loneliness or seclusion. Geographic location is becoming less and less relevant to our working environment. The digital age has certainly seen to that. For many industries, if you’ve got an internet connection then you’re good to go. Why then do we not give more thought to an island way of living? Again I think it comes down to isolation, but community and belonging can still exist in remote places. You can feel lonely in a crowd and indeed, that is often the effect of city living. Studies into rapid urbanisation in South Asia have shown that in fact the sheer scale of urban life, for all it’s pace and grandeur, can leave us feeling detached and socially crippled. It’s what leaves many South Asians preferring to stay in their provincial hometowns, where they can stay closer to family and their naturalistic traditions, than migrate to cities in search of higher paying work. Seeing a thousand foreign faces a day is meaningless in comparison to seeing ten friendly ones. Similarly the pull of technology, that can be so freeing, can have a trapping effect, pulling us into an enclosed world of electronic obsession and social media tunnel vision. It can stifle our creativity, leave us burned out and unable to thrive. With work, investments, social strains and everything in between, it’s sometimes important, necessary in fact, to step away from the problem and see the bigger picture. It’ll make the next step, the next idea, the next solution, easier to find. The rise in popularity of meditation and deeper interaction with the natural world around us, I feel, is in direct response to the growing imbalance in our lives. Incidentally, these sorts of influences have deep roots in southern Asia. One probably can’t help but wonder still, with the hustle and bustle of cities being brought to islands through tourism, where can I find a peaceful spot? Whilst it’s true that many of Australia’s most enticing island locations, particularly in Queensland and especially around the Great Barrier Reef, are tourist traps, the areas around which they congregate often represent hotbeds rather than the full picture. 20,000 people live amidst the 74 islands of the Whitsundays, dotted about in thriving communities of every shape and size. If you’re willing to look, it’s possible to find a corner that’s right for you. There’s a whole host more on offer beyond the big names too. Dangar Island and Scotland Island in New South Wales provide more low key alternatives. Life on Dangar provides the sort of closeness to one’s neighbours and nature unseen elsewhere. With property prices ranging across the spectrum, and all providing immediate access to stunning natural environs. The island has few tarmacked roads, no private cars and only one shop. It comes down to personal preference as to whether or not this will appeal but I think there’s value in taking a look at this way of life and learning from it if not participating in it. A smaller area of living, defined and contained, removed from grander concerns, can bring us to be more in touch with our surroundings and those who inhabit it. Seeing your tangible living space, and inhabiting it more fully is easier on an island, and it can help to foster a better understanding of the place you call home, as well as having a healthier and more in depth interaction with it. An island getaway can also make for a perfect investment opportunity. Property in a place like Dangar or Scotland will pull in rental interest all year round, and can double as a peaceful and accessible island getaway from the city. Close enough to make the trip easy, far enough to give yourself a little space, physical and mental. 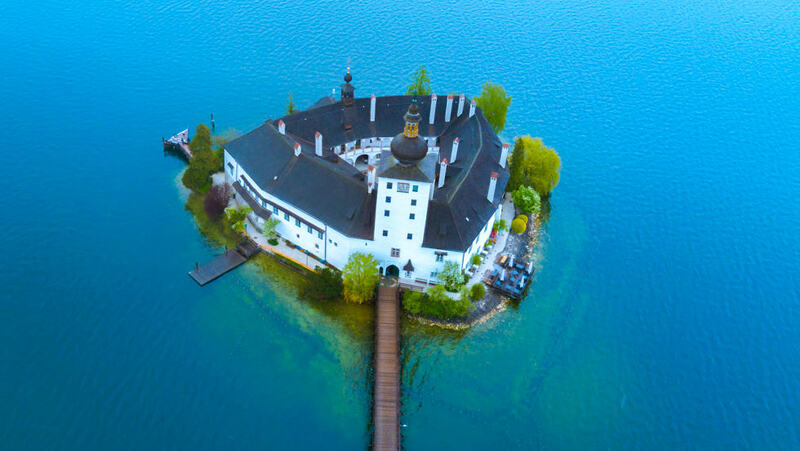 You could even buy a private island for a really secluded experience! At a lower cost than you’d think. Though perhaps that’s a topic for a different time, and maybe not the best for a first time investor! However, island properties further afield in Sri Lanka and Indonesia that can be turned into rental properties/personal getaways have a very low entry price point. Take a look back at my overseas investment tips for more info. There’s something to learn from a slower, more spatially aware place of living, even for the most hardened city dweller who shudders at the thought of life without an immediately accessible Starbucks at all times. I urge you to take a trip to an island, a quiet one, and take in how it makes you feel. Maybe you’ll just feel as if every second away from the city is a second you’re missing out on some new trend, event, movie or shiny thing. Or perhaps you’ll discover you’ve been missing out on something else all along, something deeper.